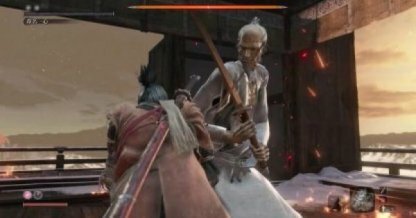 Check out this Sekiro: Shadows Die Twice guide on how to beat Isshin Ashina (Shura Ending). Info includes gameplay tips, recommended Prosthetic Tools & Items, boss moves and attacks. Check Out The All Boss Fight List Here! 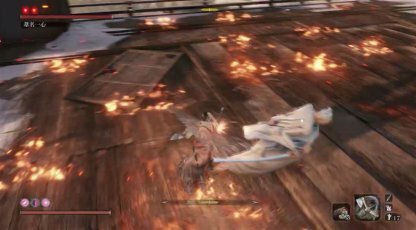 The Loaded Axe is great for using against Isshin especially during his fire pillar attack in the second phase. 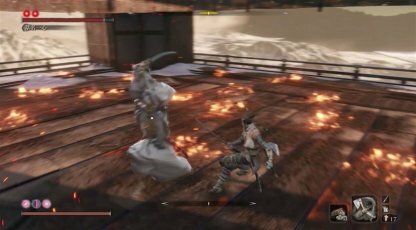 You can use it to interrupt and stagger him during this attack and get some hits in. The sword flick attack which is performed after the use of the fire column attack deals tons of damage. You can use the Shuriken right after the fire column attack to interrupt and possibly cancel the sword flick attack. This attack is easily identifiable due to its slow telegraph. You can easily avoid it by dodging to the sides. You can then charge up a thrust attack (hold R1 / RB) which allows you to deal tons of damage when he is vulnerable during this window. Unlike normal attacks, the Sword Flick attack will break through your block and deal massive damage to your HP bar. It is advised that you create distance instead of attempting to block. He will do this throughout the fight on both phases. 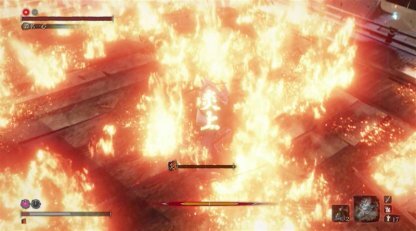 The fire pillar attack has a very wide range making it hard to dodge away from. However, you can move to a section of the floor without fire once Isshin starts his slow telegraph for this attack. 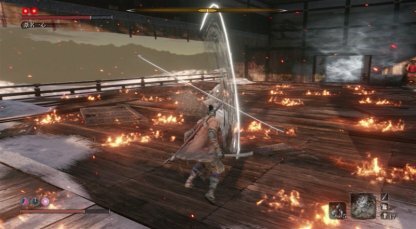 You can interrupt this attack with your Loaded Axe if you are close to Isshin..
During the second phase of the fight, Isshin will employ several attacks that feature fire. If you ever get inflicted with the Burn status, you should heal yourself with the Dousing Powder item. There will be a slow telegraph of this attack. After the first movement, dodge to the side and charge up an attack (hold R1 / RB). He will be in a vulnerable position for you to hit once this attack ends. Keep distance during this attack. This attack is very fast so wait for it to finish before approaching for a counterattack. 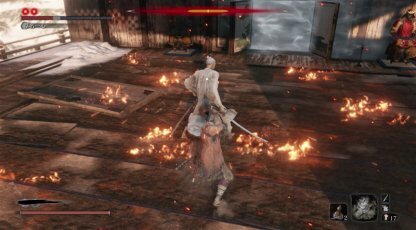 It is easy to distinguish from other attacks due to initial sword movement. Stagger him with a charged thrust attack (hold R1 / RB)! 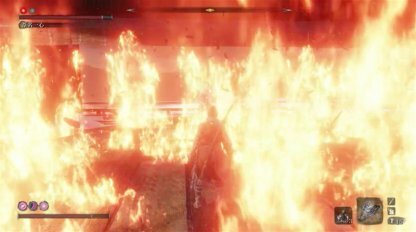 Fan of Flames Creates a wide fan of fire in front of Isshin. Vertical to Horizontal Slice (with fire) An attack similar to the vertical to horizontal attack of the first phase. This attack will also conjure flames that can cause burn status and has a wider attack range than the first phase. 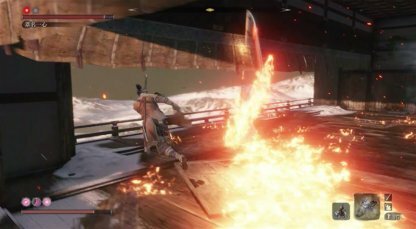 After slashing his sword downwards and stomping the ground, he slices his sword to create a fan of flames in front of Isshin. Avoid getting burnt else you will receive a burn status and damage you over time. You can disrupt subsequent attacks with quick strikes at his back. 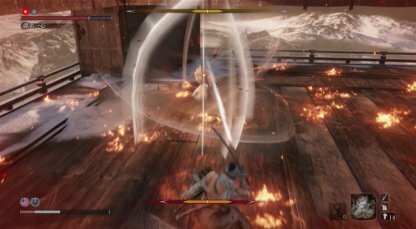 While Isshin prepares for this attack, you can interrupt the attack with a strike from the Loaded Axe. Since the pillars come from the floor, move sideways or back to avoid the fan of flames. Subsequent attacks can be interrupted with a shuriken. After stomping on the floor, he strikes his sword down on the floor and swings it up to throw a straight flame right at you. The attack is very linear so dodge to the side to avoid this attack, however, the width flame is not as thin as it looks, so dodge further as needed.